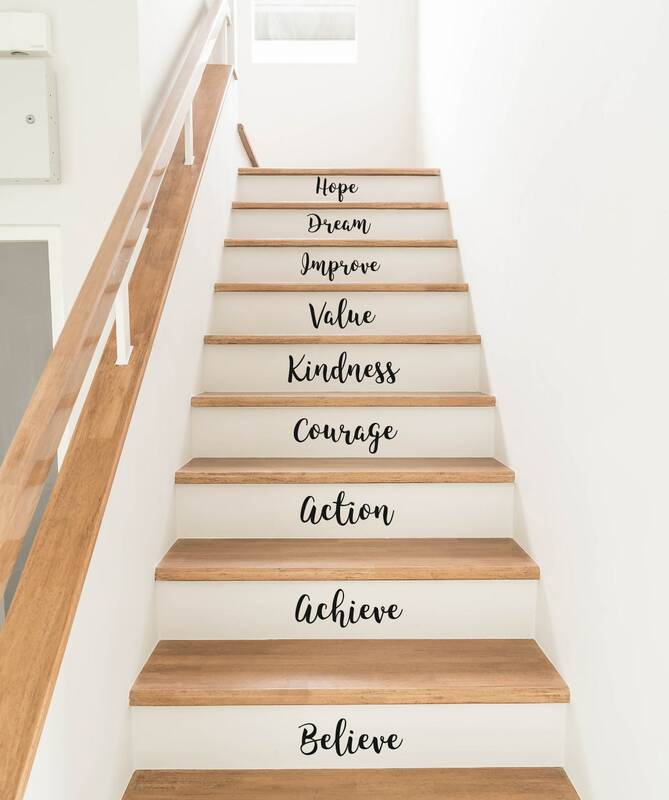 Set of 9 motivational word stair decal stickers. A fantastic way to decorate plain staircases. 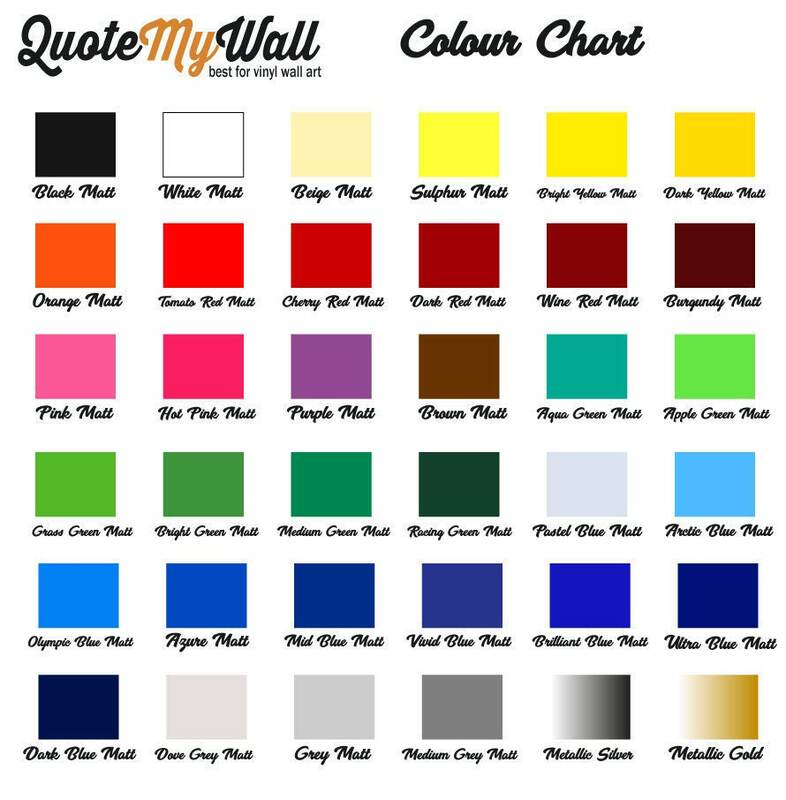 Each word ranges from 8cm width to 22cm width.